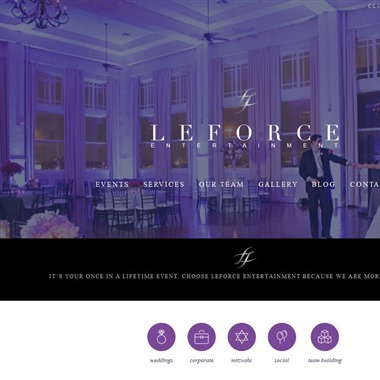 Select photos you like; we'll recommend wedding DJs in Houston Try now! We don’t just provide the music of your wedding; we make sure that entertainment of your reception flows seamlessly, complimenting all the other details of your special day. Let us take take care of all the details, while you sit back and enjoy the evening’s entertainment. Wow VIP Events will make sure your wedding party is an absolute success. 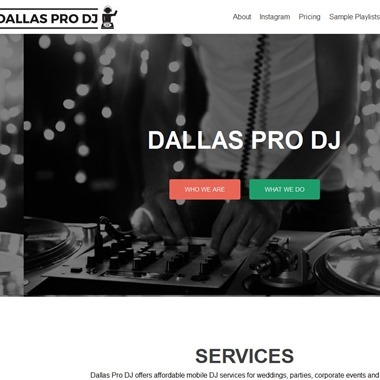 True DJs of Dallas are not your stereotypical “cheesy” Wedding DJs. 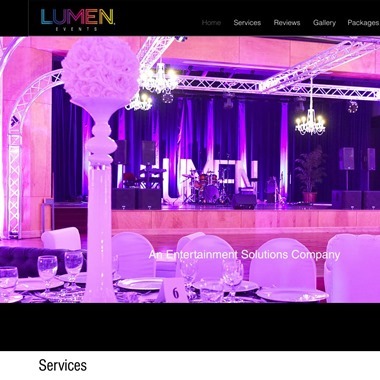 We are all professional, full-time DJs with years of international experience not only in private events and weddings, but also in radio, nightclubs, concerts & tours, and the music & fashion industry. We are wedding ceremony & reception specialists. We help you plan the order of your formalities in addition to acting as your MC and event coordinator. We will even help you pick your songs if necessary. 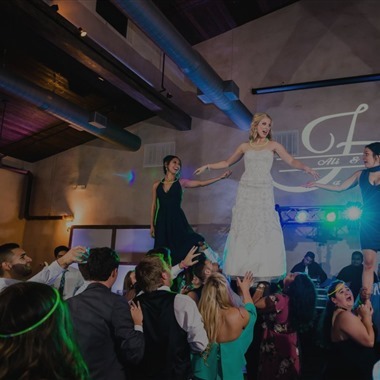 Through effective communication during the initial consultation, Dallas Pro DJ will work with you to create the perfect playlist and game plan to make sure you have a blowout reception! 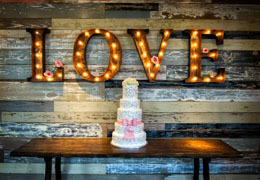 We are committed to making sure everyone has a great time and that your reception is memorable and talked about long after its over. Our wedding DJs do more than just play music—think of the DJ as your wedding host. Your guests will be jumping onto the dance floor when the DJ gets the party started by playing your favorite tunes. From elegant and emotional to festive and fun, our wedding DJs cater to your style and preferences. 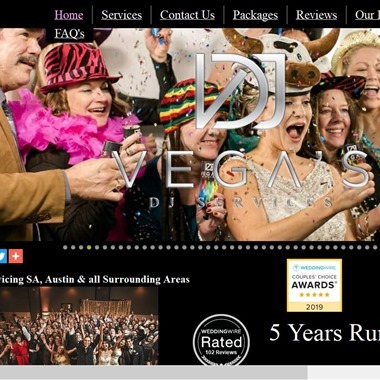 At Vega's DJ Service we provide our clients with free individualized consultative services prior to an event. This free consultation service allows us to specifically identify your desired choices in music, DJ interaction, special requests and other individualized services. Our expert DJs will keep your dancefloor full. Each DJ knows how to read your crowd, and put on the perfect song for each moment. Regardless if its a corporate party or 5K Run, a wedding or quinceañera, our DJs will transform your event into the ultimate experience. With our high energy style live mixing and dance floor lighting, we energize the dance floor and keep your guests wanting more.